← Recommended Holiday Reading – and I chose wisely!! Six months ago I hadn’t heard of flash fiction and I can’t remember what introduced me to it now but I really like it. I’ve had an attempt at writing it and after manhandling my novel loved bashing something so small into shape. I’ve even entered a competition that Huntingdon Writers’ Group were running – but more on that later! 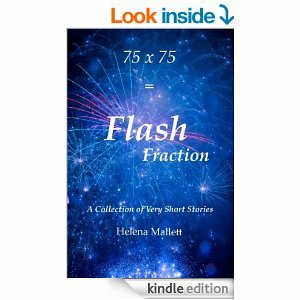 For those of you who may not have come across it flash fiction is a type of short story. Though there seems to be no defined word length you will see from the examples I give below that this can be variable and the collections themselves come in many different formats. I’d like to introduce you to three books of flash fiction I’ve read and reviewed recently. I’m not putting my reviews here but if you want to see them please use the links to click through and hopefully you’ll also take the opportunity to buy the books to enjoy for yourself! 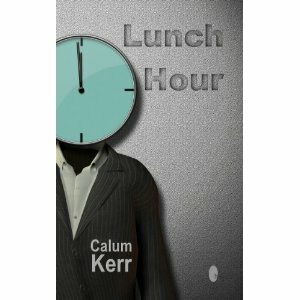 So the first on my list is Lunch Hour by Calum Kerr. Kerr is a prolific writer of flash fiction and I shall certainly be looking out for his other collections. It is that time of day: the time for poorly-filled, pre-packaged sandwiches; the time to run errands you won’t have enough time for; the time to fall in love, to kill or be killed, to take advice from an alien. This is a collection of thirty flash-fictions that are a linked series of stories that examines the life of the workers in an office during the one time of day when they have the freedom to be who they want to be. This was my most recent read, a collection of 75 Flash Fictions all captured in exactly 75 words (how difficult must that be?). These very short stories span a wide range of genres and subjects: a teenager disappears in an alien abduction in The Vanishing, a therapist and client succumb to forbidden attraction in I Know You Want To and a long-suffering wife takes cold-blooded revenge in Red Earth. Some tales offer a conclusive ending, often with a twist, while others are left open to invite the reader’s own interpretation. Flash fiction, sudden fiction, microfiction, ultra short fiction – call them what you will, these twenty wry and witty stories examine change at every stage of life, in a natural progression from birth to death. Mostly lighthearted, but often moving too, this collection is written with an admirable economy of style. Ranging from a spartan 100 words to the relative luxury of 1,000, they combine sharp observation of contemporary English life with gentle humour, profound affection for the social quirks of the author’s native country, and the odd dark rumbling undertone. Plenty of surprises emerge along the way, from twists of magical realism to whimsical wish-fulfilment. These three examples are all very different and I would encourage you to give them a try. Short stories are ideal reading matter for times when you don’t have the ability to concentrate on anything too lengthy. I favour these for all the waiting around we do in our lives, waiting for children outside school or at after school clubs, as well as when waiting for appointments at the dentist, doctor or at the hospital. These are all opportunities to sink into these delightful collections and lose yourself in wonderful miniature worlds of fiction. Now as I said at the top I have written one piece of flash fiction, it had to be 250 words for the competition and I’d thought I’d share it with you here. I was tempted, following the feedback of the judges, to make some amendments but I haven’t, I’ve left it so you see it as the judges saw it though I’m not quite sure why I didn’t put a question mark on the title? Regretting spurning his offer to see me home as soon as the door clunked closed I watched as he drove away. Currently a friend, he wanted more and didn’t need the encouragement of a walk in the dark. I didn’t need the awkward goodbye, the chance, or threat, of him moving in for a kiss. That being the reason for my shudder, I told myself, not the irrational fear welling up from deep inside. Alone, and feeling the night chill, I shivered pulling my sleeves down and wrapping my arms around for warmth, or comfort. Clutching my key, my weapon, I moved swiftly, walking with attitude, darkness dropping to moonlight level as I stepped into the alley. My breath shortening, I cursed a cat scrabbling up a wooden fence, heartbeat racing, alert and anxiously checking darker corners. Seeing our garage, running for the open door that showed it full of everything, except a car, passing through the passage carved between possessions, out into the garden beyond. I ran down the path, hands up breaking cobwebs that would be remade by morning. Overgrown branches grabbing at my hair as lifeless eyes sadly showed no one home. My hand shaking, fumbling for the lock as I glanced behind convinced of someone chasing. Door open, slammed shut with relief, cool as I leaned my forehead against it. Then a shadow reflected in the glass, sweat pinpricking my body with fear, as a hand wrapped across my mouth to choke off the rising scream. So there you go, I came third which I was pretty pleased with on my first attempt and I may yet rework it to try and improve. I’d love to hear if any of you have written any flash fiction and how you find it? I like your story Georgia – very atmospheric! I think flash fiction is good for practicing brevity. I, like many authors, have a tendency to be too verbose at times. However, I prefer to write novels as it gives me the chance to develop the characters and plot, and I can really let my imagination run wild. I’d like to try one of the books you’ve mentioned – you’ve got to stop tempting me like this – haha! I think I’ll download Debbie’s as I’m familiar with Debbie’s name from various blogs and I know she’s very supportive of the Indie community. Thanks for the comment Diane. It was amazing how many words I initially took to write the story then having to cut out a huge number to bring it down to 250. It’s interesting how few words you actually need and it does make the writing much tighter! 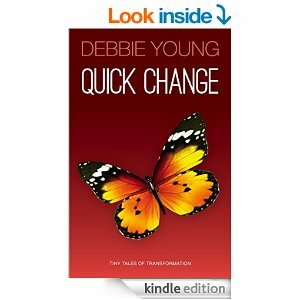 I’m sure you’ll enjoy Debbie’s book and I shall stop trying to tempt you!! Haha – enjoy!